Aaron Hanson is the former president of the Omaha Police Officers Association. Five years ago there was a big city where the pension plan for police and fire was only 39 percent funded and actuaries were predicting bankruptcy inside of 20 years. Today that same fund is now close to 50 percent funded, 28 percent of the payroll contribution shortfall has been lowered to 1.5 percent and the pension fund is sustainable and on track to be 100 percent funded. If you think this can’t be true, guess again. 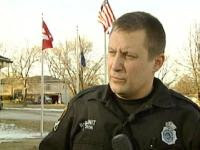 Aaron Hanson, the former president of the Omaha Police Officers’ Association and one of the seven trustees of the City of Omaha Police and Fire Retirement System, said the results prove that if officers understand and accept that they may have to take a hit and share the sacrifice, a troubled pension plan can be turned around depending on their funding status. The bad news arrived in early 2008 – the Omaha Police and Fire Pension System was in serious trouble. The outgoing mayor took action and implemented a pension task force in 2009 to come up with some solutions. The POA began an intense effort to educate their members about the disaster on the horizon if serious measures were not taken by both the city and the police and fire unions. There were endless meetings, newsletters, and postings on social media to let Omaha cops know the consequences of doing nothing. To get the pension program back on track would require the equivalent of a whopping 27% of the police and fire payroll annually and even with that amount of money the fund would not be solvent for 35 years. The big give-back on the cops’ side, according to Hansen, was the elimination of pension spiking. The new contract cuts the 25-year pension by 5% and increases the final average from 1 to 3 years. A new tier for future employees eliminates overtime being factored into the retirement benefit. “We cut our benefits for every single cop, we stopped spiking by introducing a career overtime average, and we paid in additional money,” Hanson said. “That brought our half of the UAL contribution up to the equivalent of 13.5% of payroll. The city agreed to contribute the other 13.5% which brought us up to the 27% more money the fund needed to survive.